Design Turnpike creates handmade art and maps using vintage recycled license plates. Google 'design turnpike' to see many more pieces of original art and maps made using vintage license plates. 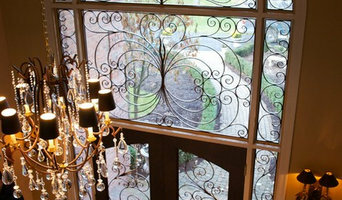 We are an Architectural and Sculptural Metalwork company that provides service from conception to completion. All of our work is custom, hand-made, and quality. 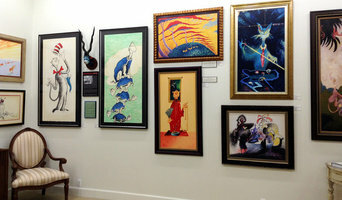 Art Leaders Gallery, voted “Michigan’s Best Fine Art Gallery” is located in the heart of West Bloomfield. This full service fine art gallery is the destination for all your art and custom picture framing needs. Our extensive inventory of art includes styles ranging from contemporary to traditional. The gallery represents international, national and emerging new talent as well as local Michigan artists. 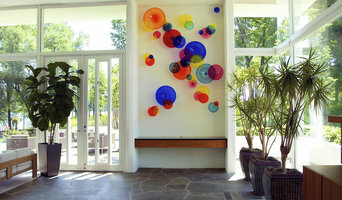 Our enticing 10,000 square foot show room is filled with original oil paintings, limited editions, photography, sculptures, hand-blown glass, unique home accessories and gift items. 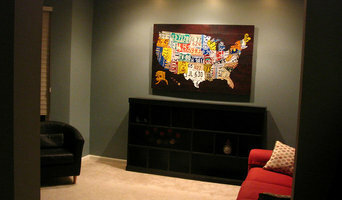 Known and respected, Art Leaders is one of the leading residential and corporate art dealers in Michigan. Art Leaders Gallery services interior designers, architects, and individual clients with personalized in-home or office consultations. With over 20 years experience in our field, we are the #1 source for all your artwork needs. We’ve developed lasting relationships with our clientele, artists and business associates. We travel worldwide to provide a collection that embodies the most exceptional artists. At The Art of Custom Framing, we're here to make your most cherished art pieces, prints, and memorabilia shine with our custom framing and printing services. With a passion for helping customers design their unique projects, our talented designers will transform your everyday prints and objects into tasteful works of art. We offer large-format printing and scanning, as well as laser engraving services. We serve corporate, commercial, and residential clients alike. The Art of Custom Framing is truly much more than just a frame shop or poster store. We welcome you to peruse our collection of fine art by local and international artists, and work with one of our designers to create a decorative piece you'll love for years to come! I specialize in Home Renderings for Builders, Architects, Home Owners, Marketers, etc. I am also working on Oil Paintings and Fine Art Prints for interiors (professional designers as well as private collectors). For the architectural renderings, I provide high res jpgs or pdfs with optional fine art prints (mounted or unmounted). For the Fine Art Oil Paintings, I can provide the original works of art on canvas and in some cases mounted or unmounted fine art prints. Professional artist with 22 years experience in creating custom artwork for residential and business clients. Retired recently from painting murals on walls and faux finishes, but have included photos to show my past work. I work mainly in acrylics, however I can create in oils if so desired. I can create a painting from a single photo, multiple photos or an idea you may have that we can collaborate on together. Prices vary depending on size,substrate,detail and oil vs acrylic,but you will be given an exact quote after all details are confirmed. 50% deposit required and I send progress photos and give approximate completion time. My own original artwork is also available for purchase. With my over 20 years as a professional Graphic and Interior Designer, I know how important personalization is to my client's home. The need for customization doesn't stop at choosing the right paint colors, type of furniture, or even the style of lighting. It also includes what kind of art you like displayed. Because of my experience, I saw a need for a different and unique way for clients to turn their photographs into large pieces of art. 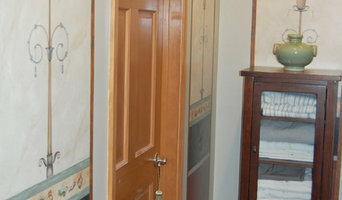 One of the originals with over 30 years experience in faux finishes, decorative painting, and mural painting. I have murals in five public libraries in Ohio, numerous businesses, restaurants, and corporations, but I most enjoy my residential projects, working with home owners to explore, develop, and execute a vision exclusively theirs.